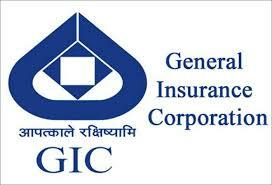 General Insurance Corporation of India (GIC Re) has posted 50% dip in the net profit to Rs 335.67 crore for the quarter ended December 2018 (Q3FY2019). Gross Premium Income of the company rose mere 2% with premium of 9031.25 crore for the quarter ended December 2018 from Rs 8869.98 crore in the previous quarter ended December 2017. The operating profit of the company has surged 133% on low base to Rs 898.71 crore, while more than six-fold rise in tax expense caused sharp decline in net profit of the company in Q3FY2019. The company has continued to report operating losses in fire segment for third straight quarter, while other segment have exhibited profitable performance in Q3FY2019. The profit before tax jumped 32% to Rs 1040.10 crore in Q3FY2019 from Rs 787.99 crore in Q3FY2018. Underwriting Loss dipped to Rs 214.43 crore in Q3FY2019 as against underwriting loss of Rs 419.19 crore in Q3FY2018. Net Worth of the company (without fair value change account) increased 15% to Rs 21298 crore end December 2018 from Rs 18550 crore end December 2017. Growth in net worth (including fair value change account) was 5% at Rs 51266 crore end December 2018 as against Rs 49496 crore end December 2017. Gross Premium Income of the company increased 8.6% with premium of Rs 36148.65 crore for the nine months ended December 2018 from Rs 33274.35 crore in the corresponding previous year period ended December 2017. Investment Income for the nine months period ended December 2018 increased to Rs 4806.12 crore as compared to Rs 3614.33 crore for the nine months ended December 2017, showing a growth of 33%. Net Worth of the company (without fair value change account) increased by 4.5% to Rs 21720.89 crore end December 2018 from Rs 20776.01 crore end December 2017. Combined ratio is improved to 107.6% for the nine months ended December 2018, in comparison to 110.3% for half year ended September 2018. Adjusted Combined Ratio (after considering the policyholders' investment income) works out to 97% for the nine months ended December 2018. Return on Equity (ROE) (unannualized), increased to 7.5% for the nine months ended December 2018 as compared to 6% in the half year ended September 2018. Solvency Ratio has improved to 1.84 end December 2018 as compared to 1.73 end September 2018. Total Assets increased by 7.2% from Rs 111385 crore end December 2017 to Rs 119367 crore end December 2018.  The book value of the company including fair value change account stood at Rs 300.3 per share and excluding fair value change account stood at Rs 123.9 per share end December 2018.